Music for Choir from Gravel Studios. Six Months at Seven-Eleven has five movements, with each movement representing someone I knew at the 7-Eleven where I worked in college: Sandy, Jane, Rhonda, Officer Peer, and Sylvia. Each person is represented by a solo wind instrument (bassoon, alto sax, euphonium, French horn, and clarinet, respectively), and each movement is in a different musical style. 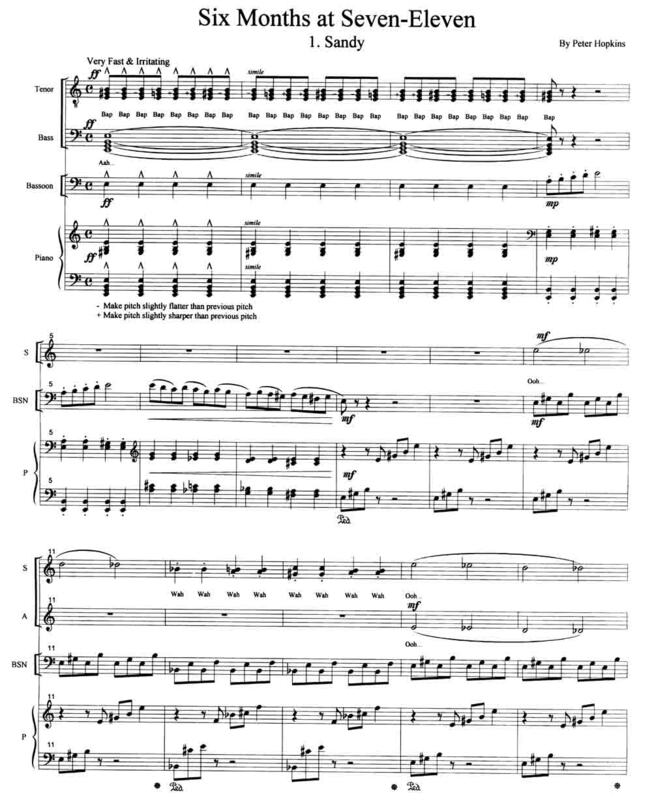 Look at the first page of the score. Read more about Six Months at Seven-Eleven. *Full Set includes 20 vocal scores and all wind parts. This passage from the Bible, Matthew Chapter 5, verses 3-11, is featured in a highly chromatic, a-capella setting for four part mixed choir. 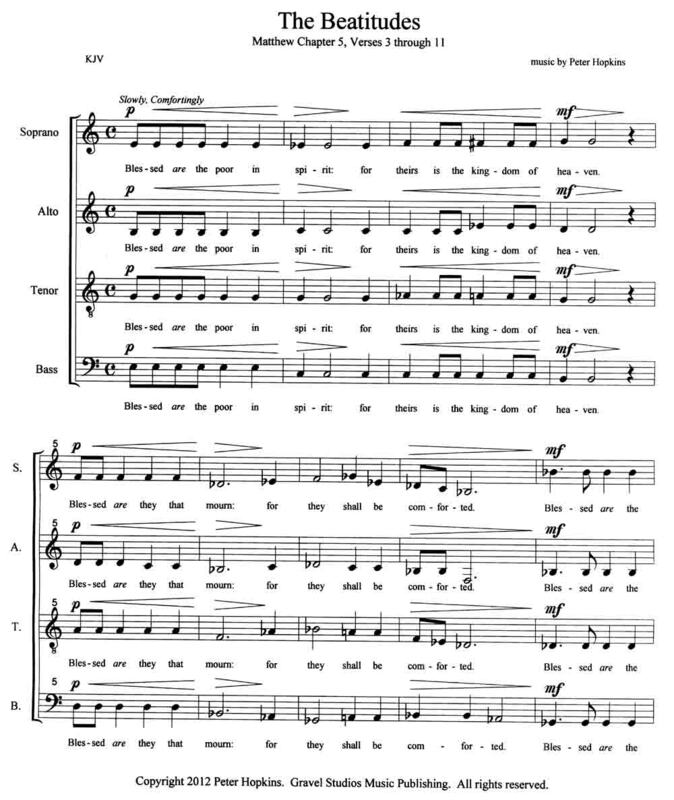 The Church in the Wildwood is an arrangement of the old hymn by William S. Pitts. 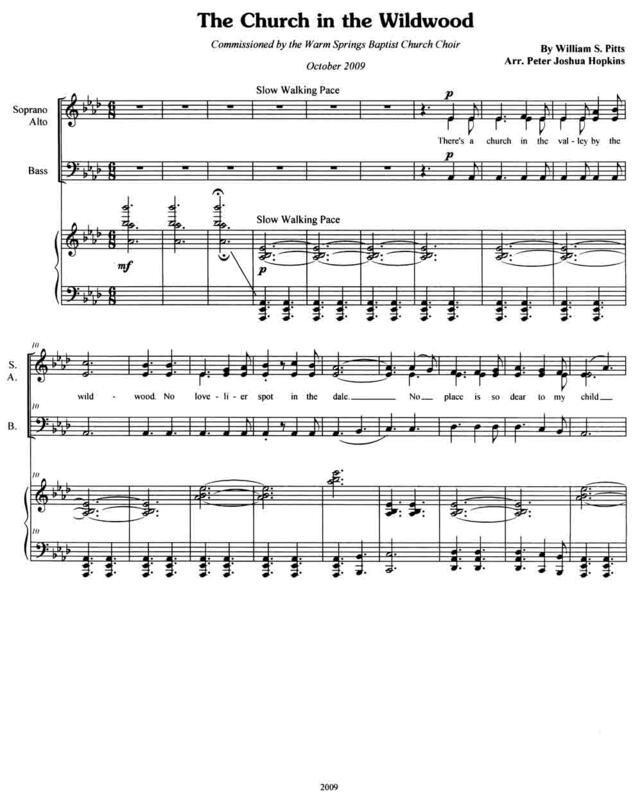 For SAB choir, it's a fairly easy piece with a lovely piano accompaniment.